Traveling in Ireland, New York reporter Stephen “Fitz” Fitzgerald befriends a leprechaun named Horace by refusing to take his pot of gold. Back home, Fitz takes a job for D.C. Augur, a publisher with political ambitions and the father of his fiancé. Soon, Horace reappears in Fitz’s life, in the guise of a valet, to push him toward a romance with Irish girl Nora and a job that doesn’t compromise his principles. A 1959 Walt Disney Productions feature film that tells the tale of a wily Irishman and his battle of wits with leprechauns. The film contains two main stories that eventually intertwine: the first being the story of an American businessman who visits Ireland and encounters magical leprechauns and the second, a story of a pair of star-crossed lovers who happen to be a fairy and a leprechaun, belonging to opposing sides of a magical war. It contains many references to Romeo and Juliet such as two lovers taking poison and feuding clans. In this Disney movie, a teenager must battle for a gold charm to keep his family from being controlled by an evil leprechaun. After narrowly escaping an ancient burial ground, a group of friends finds themselves trapped between two evils, forcing them to fight, die or go back the way they came. A leprechaun surfaces in Los Angeles to claim a bride, as his previous object of affection was denied to him a thousand years before in Ireland. He kidnaps teenager Bridget, grotesquely murdering anyone who gets in his way. It falls to Bridget’s boyfriend, Cody, to rescue her. Cody enlists the aid of his perpetually tipsy uncle, Morty, who decides to go after the homicidal leprechaun’s pot of gold. Karen is unaware that decades earlier, townspeople banished a bloodthirsty leprechaun to another dimension after a massacre. She accidentally sets the creature free, and has to convince her father to help send it away again. Terry Noonan (Sean Penn) returns to Hell’s Kitchen in New York City after a long absence, where his unpredictable childhood friend Jackie Flannery (Gary Oldman) is involved in an Irish crime organization run by older brother Frank (Ed Harris). Terry rekindles an old relationship with Jackie’s sister Kathleen (Robin Wright). Near the end of the movie, one of the characters watches the St. Patrick’s Day parade alone, several of the other characters are involved in a life-altering bar incident. Tired of the crime overrunning the streets of Boston, Irish Catholic twin brothers Conne and Murphy are inspired by their faith to cleanse their hometown of evil with their own brand of zealous vigilante justice. As they hunt down and kill one notorious gangster after another, they become controversial folk heroes in the community. But Paul Smecker, an eccentric FBI agent, is fast closing in on their blood-soaked trail. Between the Canals is an Irish crime film written and directed by Mark O’Connor. 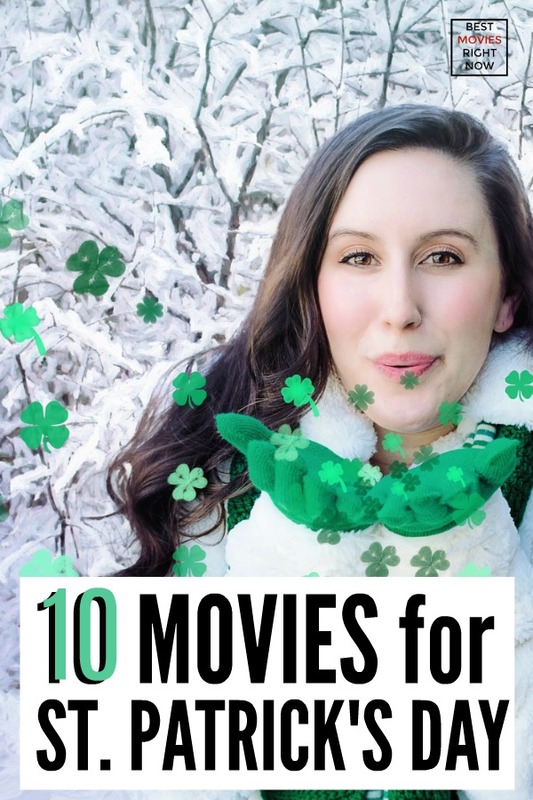 Which is your favorite of these St. Patrick’s Day movies?